Common frog (Rana temporaria). 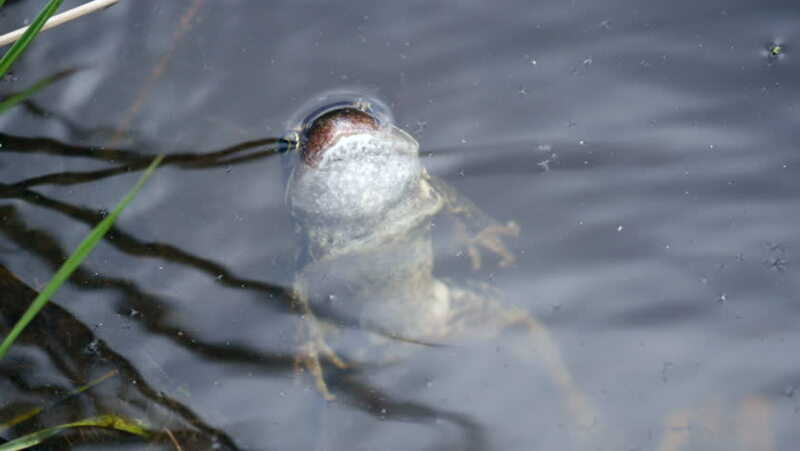 Head popping out of the water. hd00:10Overview a Stream of pure water flowing through the snow blocks. Spring melting of ice and awakening of nature. Clear water in the wilderness.